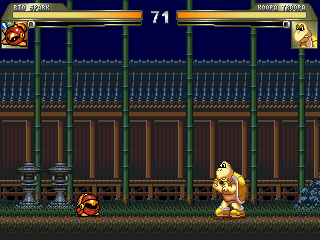 This stage is based on the first scenes from one of my favorite games, the Revenge of Shinobi for the Sega Genesis. Separated a few background items to add extra layers of scrolling. Includes animated leaves and moon. An updated version of my first MUGEN stage.